Many urban centers call themselves "Garden City," but thanks to its many manicured parks filled with native and exotic plants, Victoria probably deserves than moniker more than most. Explore the numerous day-trip ideas around Victoria: Cowichan Valley trail (in Lake Cowichan), The Raptors (in Duncan) and Island View Beach Regional Park (in Central Saanich). 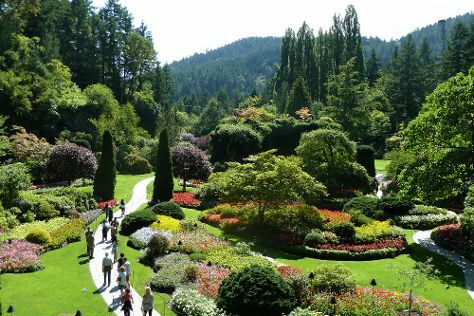 There's lots more to do: don't miss a visit to The Butchart Gardens, identify plant and animal life at Victoria Butterfly Gardens, explore the historical opulence of Craigdarroch Castle, and enjoy the sand and surf at French Beach Provincial Park. To see where to stay, traveler tips, ratings, and other tourist information, use the Victoria trip itinerary builder. In July, daily temperatures in Victoria can reach 22°C, while at night they dip to 15°C. Wrap up your sightseeing on the 5th (Sat) early enough to travel back home.